Wedged between Tanzania, the Democratic Republic of the Congo, and Rwanda, Burundi occupies a high plateau divided by several deep valleys, being Africa’s least urbanized country. 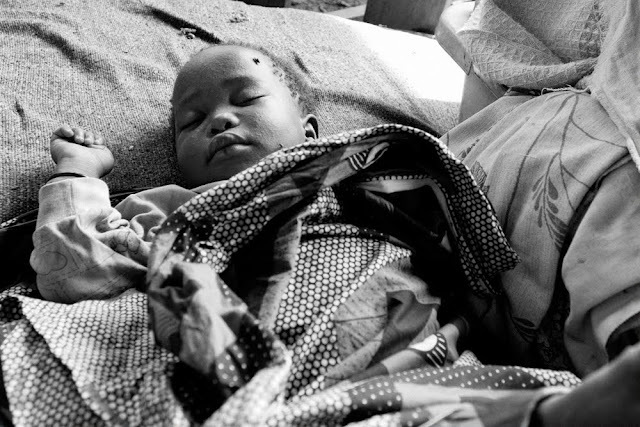 Ethnic tensions which characterized the political conflict of Burundi for nearly two decades have caused population displacements of various scales both within and outside the country. These displacement sites are places where persons or groups of persons are re-settled temporarily or permanently in order to be protected against violence or disasters. The security situation in Burundi improved substantially after the last rebel group in the country laid down its arms at the end of 2008. 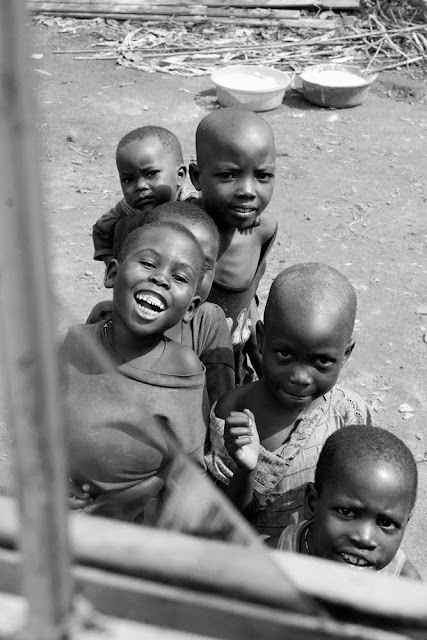 However, up to 100,000 people remained displaced as of the end of October 2009 in some 100 sites in central and northern Burundi, according to the International Displacement Monitoring Centre. This estimate is based on the last comprehensive Internally Displaced Person (IDP) survey undertaken by the UN in 2005, which found that some 117,000 IDPs lived in settlements, many of which had grown into villages. 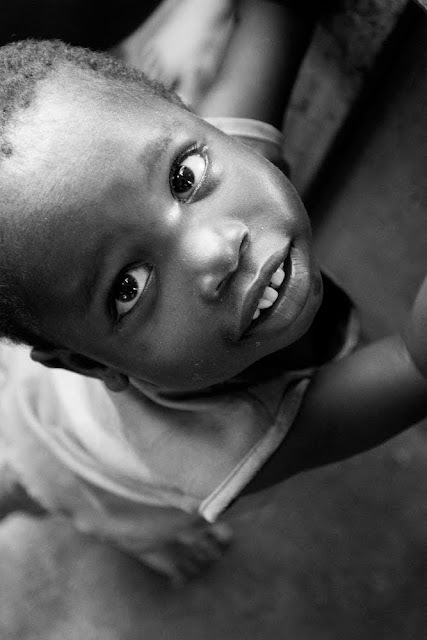 This number did not take into account people living with host families, particularly in urban centres and in Bujumbura Rural and Bubanza Provinces. 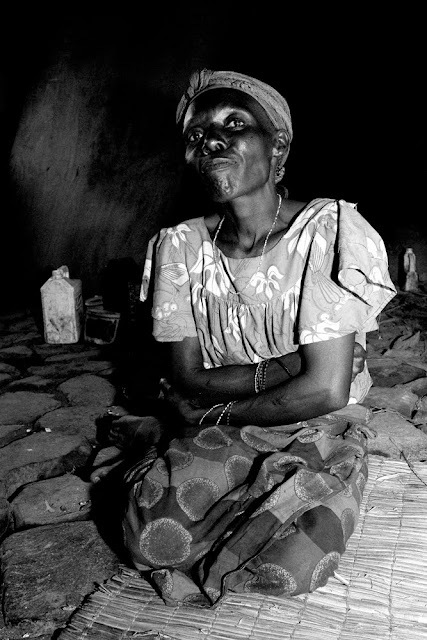 In May 2009 the Burundian Ministry of National Solidarity released a report citing a figure of over 150,000 IDPs, but the report was rejected by local officials as methodologically flawed. Most of these people, displaced in the 1990s or early 2000s following inter-ethnic violence and fighting between the government and rebel groups, have integrated in the neighbouring towns and villages they fled to, and the majority reportedly wish to remain in these sites. 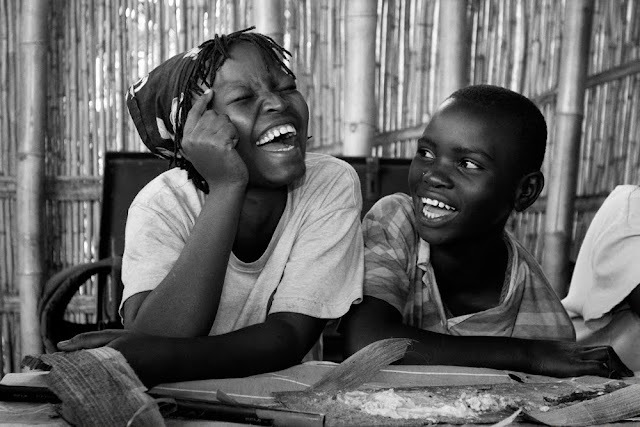 The photographs represent a cross-section of Cédric Luypaerts' work between 2007 and 2009 in the Burundian village for displaced persons. This girl turned her face toward me while I was talking with the adults of the village. She was probably intrigued by my camera. Magnifique and Kiri having fun during an art class. 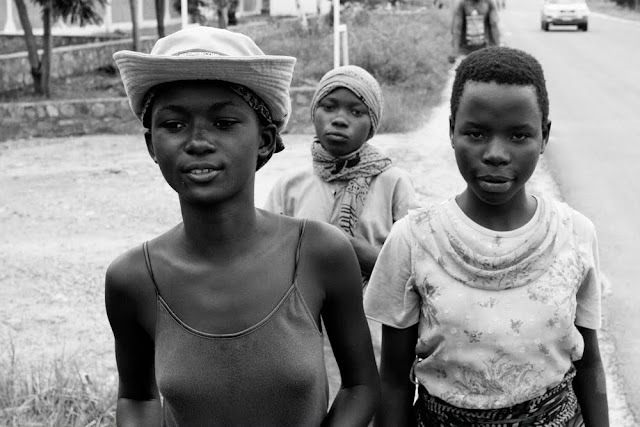 Hélène, Charlotte and Thérèse walking along the Rukaramo’s road towards Bujumbura. 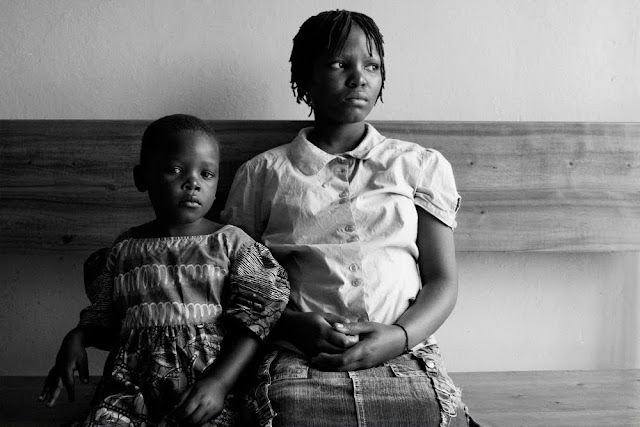 Magnifique and little Cynthia waiting for the physician at the Central Polyclinic of Bujumbura. 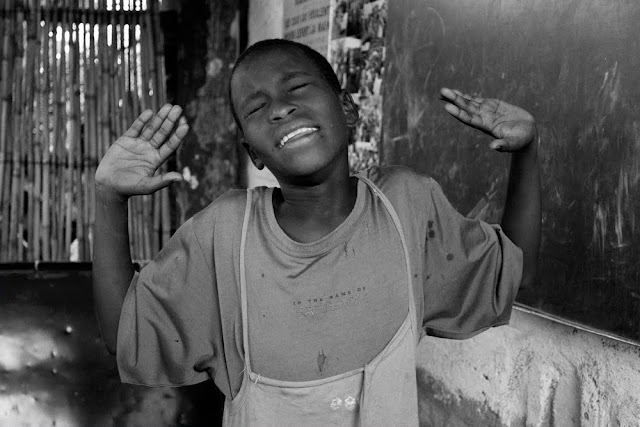 Bijou praying in the classroom of the village school. Cynthia after applying chalk on her face during a class to mimic the makeup of the older girls. Charlotte's mother welcoming me in the house she keeps during the year. Instant shot during a discussion about the recent flooding in the village. 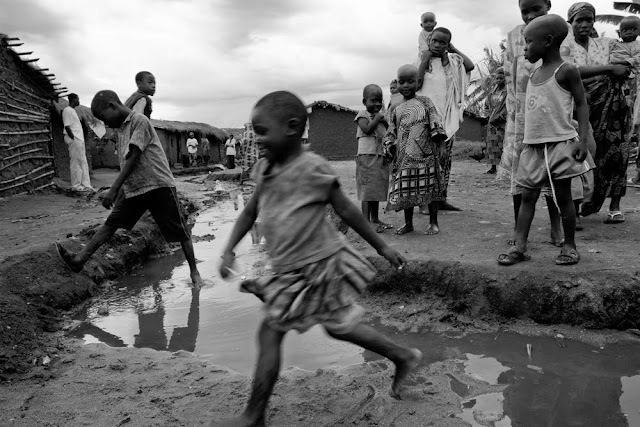 Children playing in the puddles that remained after the 2009 flood. Group of students from the village school. Baby sleeping alone in a warm and humid place, surrounded by a pile of objects damaged by flood. Children playing with water at the drinking fountain installed by the Médecins Sans Frontière NGO. Cédric is a 26-year-old Belgian freelance graphic designer based in Brussels, but producing photographic work in Africa has become increasingly important for him over the past few years. 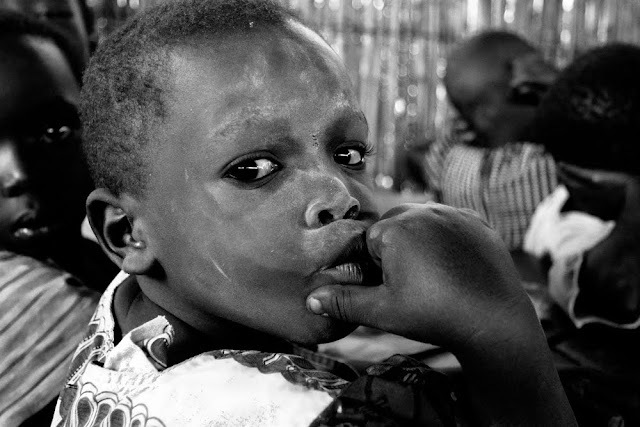 Cédric is currently seeking work opportunities in Africa, and particularly projects that would allow him to continue his series of photos in Burundi. To learn more about Cédric's work visit his website HERE and his Flickr photostream HERE, or contact him at luypaertscedric@gmail.com. Excellent reporting on something we don't see every day! The subject is sad, the situation is still worrying, but the kids seem to have big-time fun. And some of their names are a delight. C'est magnifique! Great photos - thank you for that voice! wowww! i've read much about the IDPs in darfur, sudan, but wasn't aware of the situation in burundi. thanks for this material and photos! 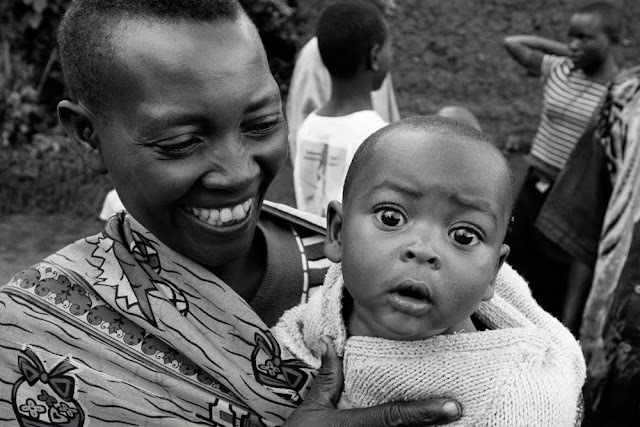 These pictures get really close to Burundian reality! Thanks! Cedric, you've done an amazing job in Burundi. I do hope you will get all the needed support for continuing documenting - in your special way - the Burundian life.